Being an evidence-based practitioner is all well and good, but what do you do when there’s very little reliable evidence on which to base your practice? Muir Gray would say that given that scenario we should base our practice on the ‘best available evidence’, but often in mental health there are few decent treatment options at hand. 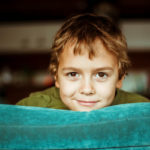 Caring for young people with eating disorders is a good example. Well-evidenced interventions are limited and recovery rates after treatment for anorexia nervosa patients is around 50% (Lambert, 2010). more services do not guarantee more health, clinical evidence alone should not determine treatment, and healthcare is best delivered by including non-health professionals. Wolpert and colleagues have picked up this baton and run with it impressively in a recent BMJ analysis paper that suggests we should focus on the person and not the problem when developing high integrity mental health services for children (Wolpert et al, 2017). We don’t usually blog about this kind of analysis article on the Mental Elf, but it seemed very appropriate on this occasion, given that the Wolpert paper is about (among many interesting things) the limitations of evidence-based research and the need for a new approach to challenge the status quo. It also just so happens that today I am attending the #CORCforum meeting in London (CORC is the Child Outcomes Research Consortium), where many related issues will be discussed, so I hope that this blog will help inform our conversations. 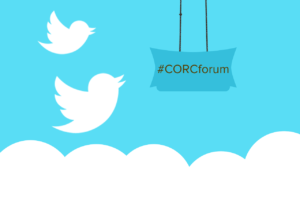 Follow #CORCforum today on Twitter for the latest ideas about developing an outcomes-focused child and adolescent mental health service. Too much treatment of disorders? Time for a transdiagnostic approach? The headlines about long waiting times for young people going through mental health difficulties are stark, but what you don’t hear so much about is that once people are in treatment they often don’t do that well. 30-50% of young people with so called treatment-resistant problems don’t recover by the end of their treatment. Of course mental health services don’t want to shout this from the rooftops or they may see their budgets getting slashed, but this shouldn’t mean no discussion about the grim reality of some service provision for very ill children. The Wolpert paper is clear about the serious limitations of current child and adolescent mental health treatment, but it also makes the point that these poor outcomes are similar to those we see for chronic health problems like diabetes in young people. The authors are also refreshingly upfront about the potential for child mental health treatment to cause harm. Anyone who dips into our blogs from time to time will know that we’re eager for psychological interventions to be robustly evaluated in the same way as drug interventions (Mc Glanaghy, 2017). We need to be sure that treatments are safe as well as effective, but safety is often more about risk reduction and keeping the patient physically safe, rather than focusing on the psychological harm we may inadvertently be causing. Forcing troubled young people into the wrong treatment, just because it’s the only thing available will of course lead to harm. 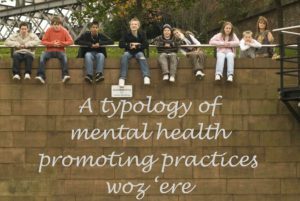 develop a typology of mental health promoting practices that go wider than traditional healthcare interventions and to evaluate such practices to compare approaches for impact and cost effectiveness. Is anyone up for that? Researchers or research funders? This article is not putting the knife into evidence-based healthcare, in fact it’s really suggesting something that can work alongside and supplement existing processes like NICE guidance and Cochrane systematic reviews. For me, what Wolpert et al are suggesting is actually an intrinsic part of what Sackett, Gray, Chalmers and the other 1990s EBM massive originally proposed. That patients comes first, their values and preferences are paramount, services should be coproduced by patients and professionals, shared decisions should be made by patients and professionals, research should be led by patients and professionals. I’ve always considered all of this a key part of evidence-based healthcare, so perhaps I missed some of the meetings – it’s always possible. Patient-centred services have been all the rage in mental health organisational GANTT charts for years now, with new approaches like personal budgets and social prescribing getting lots of attention. Of course we need reliable ways to measure the benefits and harms of these new approaches so we can consider them alongside existing ways of working. Wolpert et al are working in this space too, with their newly developed Evidence-Based Practice Unit Logic Model, which simply and elegantly aims to “help people to clarify their thinking and enable them to debate appropriate evaluation strategies more clearly”. This sounds kind of obvious when you think about it. Mental health services for young people should involve non-health professionals. Parents should be seen as the effective “agents for change” that they are, and schools should be empowered to teach mental health literacy and become a fundamental part of mental illness prevention and mental health promotion. This is already happening and there’s strong evidence for parenting and school based programmes that can make a big difference. The evidence for community based schemes is much less clear cut, so further work is needed there, as it is for digital mental health interventions in young people, which will no doubt become an even bigger area of interest over the coming years (see Victoria Betton’s recent blog on a new review of Digital Health in Young People). Clearly, focusing on outcomes that matter to young people is a good way forward, but it’s also vital that we have open and honest conversations about what to do next if these outcomes aren’t achieved. The inconvenient truth is that child outcomes are not routinely measured or collected in UK mental health services, so we really have very little idea what’s going on in the real world. The recent CORC report on child & parent reported outcomes (Wolpert et al, 2016) is an important first step in improving our understanding, but the (admittedly quite unreliable) findings so far make for difficult reading: by the end of treatment 1 in 3 children are symptom free, 1 in 2 substantially improved, and 9 in 10 have moved towards their treatment goals. If you are interested in finding out more about why outcomes are so important in this field, follow #CORCforum today for the latest on building an outcomes-focused CAMH service. I’d also highly recommend visiting the CORC Database of Outcome and Feedback Measures, which provides access to a wide range of tools for measuring mental wellbeing, disorders, quality of life and much more. CORC are refining prognostic tools to help services agree meaningful goals with young people. It’s a thought-provoking rallying cry for the mental health community to work together in a way that builds bridges between dusty academia and real-world firefighting at the frontline of care. There’s a lot to admire in this approach, but also many significant obstacles to overcome if we are to make people-focused transdiagnostic care a reality. Wolpert M, Vostanis P, Martin K, Munk S, Norman R, Fonagy P. (2017) High integrity mental health services for children: focusing on the person, not the problem. BMJ 2017; 357 :j1500. Lambert MJ. (2010) Prevention of treatment failure: The use of measuring, monitoring, and feedback in clinical practice. American Psychological Association, 2010 doi:10.1037/12141- 000. Thanks Andre for great summary of our paper. In terms of taking forward transdiagnostic approaches I think we need to move away from the idea that intervention is inevitably linked in some one-to-one way to detailed understanding of cause of problem and focus much more on research about different forms of intervention effect change. I think Prof Susan Michie has led the way with her taxonomy of behaviour change interventions…we need the same for mental health. Crude analogy: I assume that research does not move forward in orthopaedics by considering the different ways people break their legs, but rather by learning about different ways legs mend. Thanks Miranda, that’s a really useful analogy.